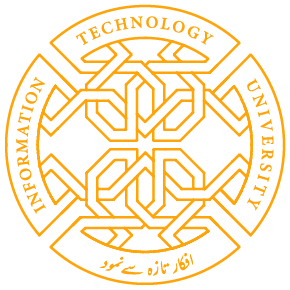 The Punjab Information Technology Board (PITB) in a partnership with the Punjab Police(PP) and the Counter Terrorism Department (CTD) has automated the entire process of Call Data Record (CDR) based analysis for major crimes through an analytics platform which imports of CDRs into the system and analyses the records with reports and filters. This system is operational in the Punjab Province and has so far completed 87,267 analysis reports. This was informed in a progress review meeting chaired by Dr. Umar Saif founding Vice Chancellor of Information Technology University (ITU) and Chairman PITB here today. Dr. Umar Saif said that the implementation of automated CDR by Punjab Police(PP) and the Counter Terrorism Department (CTD) has improved the law and order situation across the province of the Punjab and helped in monitoring the crime graph to take prompt measures to curtail the quantum of criminal activities. The meeting was informed that under this automated system 116 million CDRs have been uploaded, 12,677 FIRs/ cases analyzed and 1,439 FIRs/ Cases closed. The CDR system automatically identifies suspects based on suspicious calling patterns and activities (e.g. multiple SIMs used in one IMEI or receiving calls from a foreign country). The system provides a complete profile of suspects, fetching their data from all system integrated at the backend. The police has traced numerous suspects using this software which also keeps records closed cases which details of suspects, their calls patterns and their known associates. Thesystem acquires call record data from telecommunication companies and identifies criminals based on their calling patterns. This was previously done manually in excel files, making it time-consuming process prone to errors. Share the post "PITB’s Call Data Records-Based Crime complete 87,267 Analysis Reports"